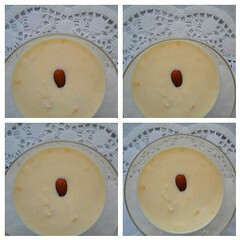 Basundhi is the most popular Indian sweet served chill. 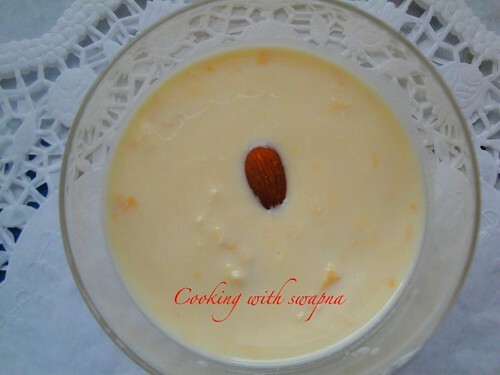 This dessert is all about reducing the quantity of milk, adding sugar & chopped nuts. It sounds simple & easy but needs to stir very frequently. Perfect dessert for the celebrations & we enjoyed our valentines day with this delicious sweet. 1. Boil the milk on low flame. Keep stirring till the milk reduces to half its quantity. 2. Add the sugar & stir till dissolved. 3. Finally, add the cardamom powder & saffron. Switch off the flame. 4. Sprinkle some nuts & refrigerate. 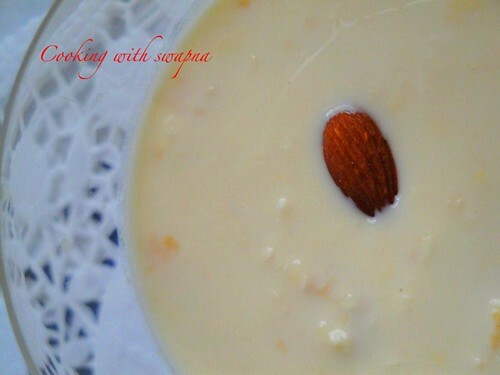 Love Basundi, great looking one S.